I know there are a lot more reasons, but here are the top ones. Tell me if I missed something. Even more than Rome and Venice, many visitors to Italy will tell you their favorite city is Florence. The city’s more compact size makes it ideal for exploring on foot. Wander from the Duomo to the Galleria dell’Accademia, the Uffizi, the Mercato Nuovo, Ponte Vecchio and discover the countless other pieces of the outdoor museum known as Florence. 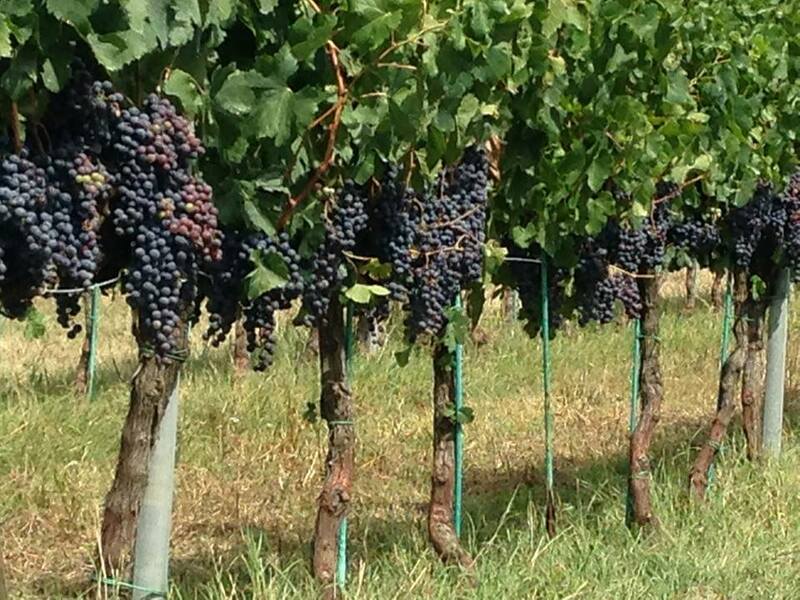 You can count the varieties you know, but trust us...it’s only the tip of the iceberg. Italy has over 300 types of pasta, each tastier than the last. The best part? They’re often fresh and handmade! Let’s not even begin to talk about the sauces. Italy’s unique location and history have made it a crossroads for ideas, cultures, and aesthetics for thousands of years. Gothic, Byzantine, Renaissance... Italy’s churches are as varied as they are stunning, and not just the famous ones! Among the included retreat classes are a day with master plaster expert Darrell Morrison, owner of Cadoro Plaster and CO.ME stainless steel trowels for fine plasters. Manufactured right in Italy. The famed European artist Prof. Luciano Tittarelli will be teaching a class of our choosing. We will put to a vote fresco painting, sculpture, tempura, encaustic? 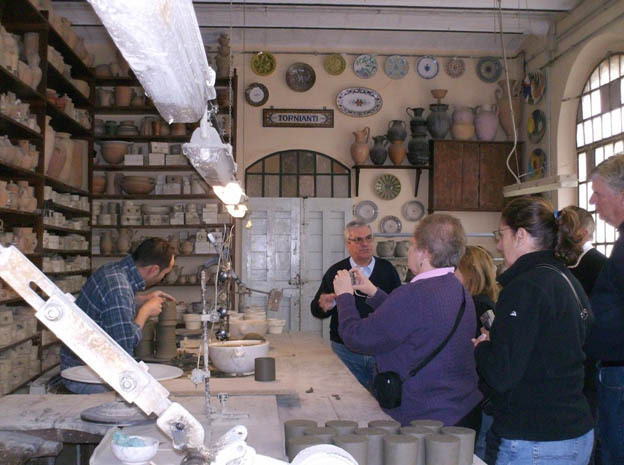 Visit Grazia factory, oldest ceramic factory in Europe. The majority of your stay will be at the Villa Pieve. It is an elegant ancient house located in front of the medioeval Castel of Pieve del Vescovo, and just 5 min away from one of the most beautiful old towns in Italy: Corciano. The property is made up of an Ancient Villa, a Country House with 20 spacious rooms refined with a traditional style and a Congress Center. Learn how to prepare a complete Italian menu. Giusto Manetti Battiloro is one of Florence's 25 oldest companies. Founded in Florence in 1820, the company produces and markets Gold leaf throughout the world. Since 1950 the company also has operations in hot stamping foil. 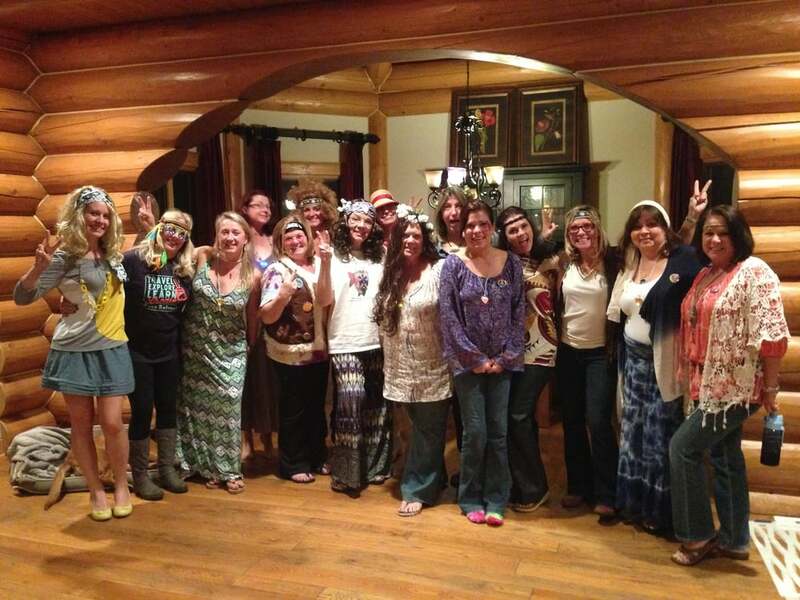 Your friends and family can travel with you on this special Faux Retreat. If they aren't interested in the classes, they can attend for a special price. Travel to Italy the last few months has been very low. 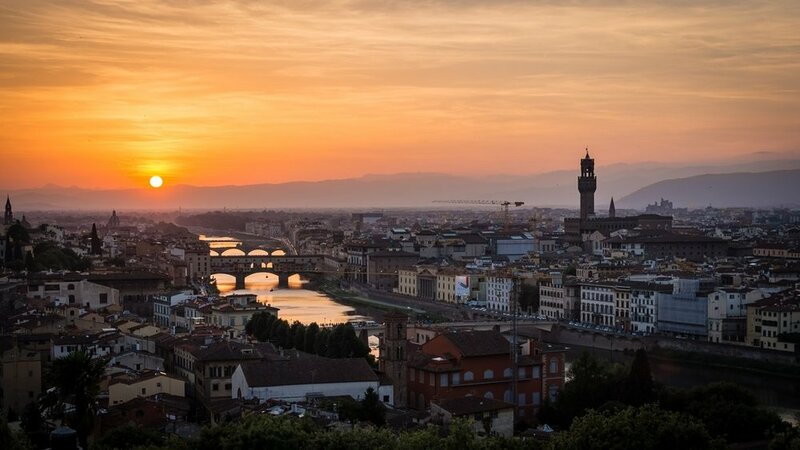 Most airfares from major cities to Florence have been around $600. All inclusive price of $1895. Click on register below to check for early registration special. Carving Techniques for Vertical Surfaces with Cindee Lundin. Each student will create a (size) board using multiple techniques. These techniques can be applied in making custom stone for fireplaces, interior/exterior surfaces, backsplashes, ICF walls, outdoor kitchens,and custom Bas relief art. 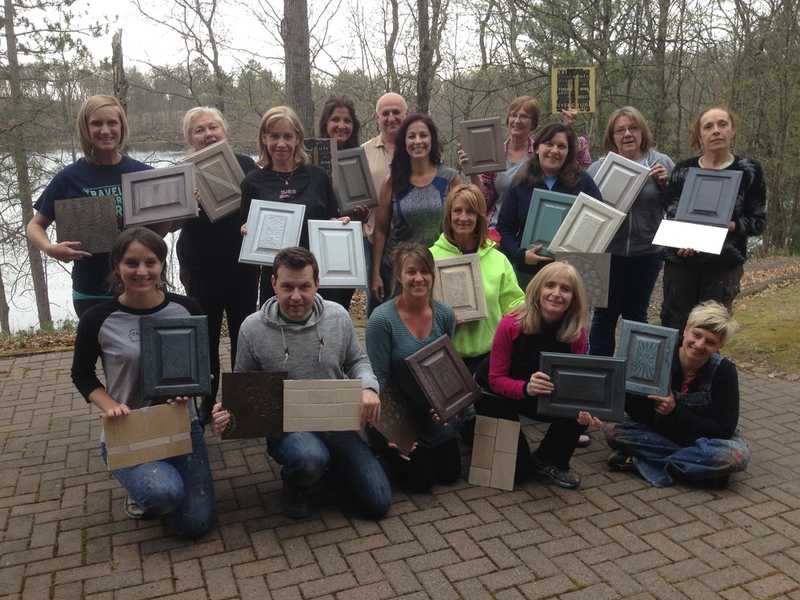 Among the following techniques students will also learn coloration with exterior rated stains and pigments, designing, and pricing. Levi's countertop Epoxy’s Resin Workshops always begin with an outline of how epoxy resin works. We believe having a basic knowledge of the nature of the material will help produce successful projects. You’ll gain an understanding of the process including necessary tools, masking, timing, temperatures, dos and don’ts, etc., all before ever pouring a drop of resin. After a brief overview of the technical aspects, we dive right in to the fun when we begin the hands-on portion of the class. Levi will lead as the class follows on their own small samples while he emphasizes the importance of the mix ratio, timing, how to maintain control of the material, and how to apply accent colors. Once the class is feeling comfortable with the process, Levi will walk them through several other color combinations, including White Marble, Copper Patina, Black Galaxy, Travertine, and Slate. 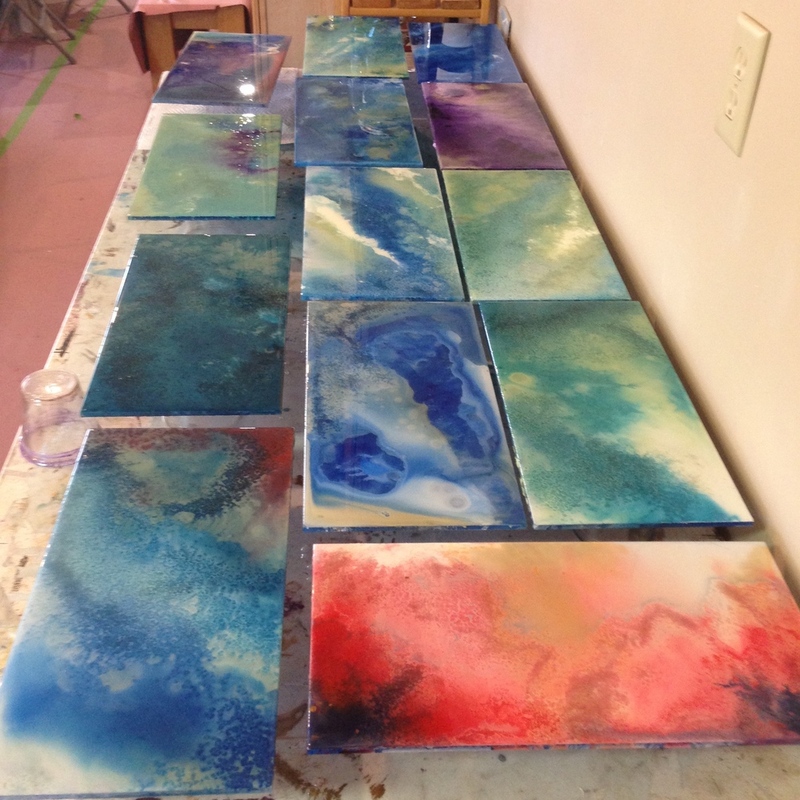 While everyone’s samples are curing, Levi will also discuss how to create large scale projects such as epoxy floors as well as how to fabricate a countertop from scratch. 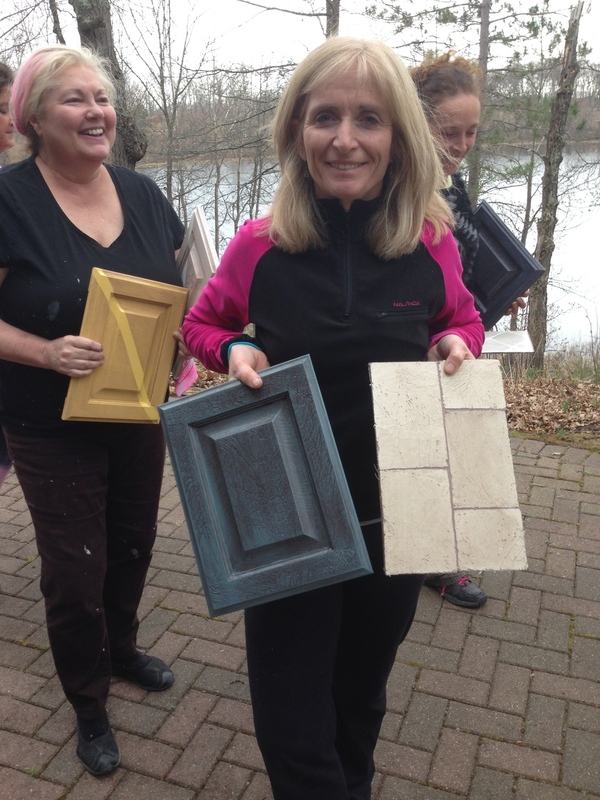 At the end of the workshop, class members get to take home their samples so they may show them off to potential clients and customers. Overall, the fun and casual environment usually exceeds the expectations of the class members, and they leave feeling like they’ve learned more than they even knew existed in the resin world! 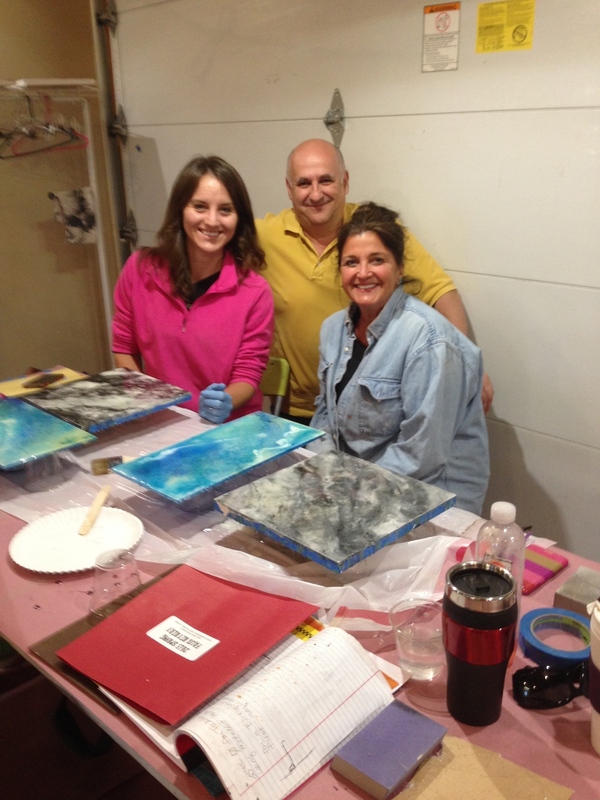 Kathy Boyd will be leading the class in an epoxy art piece you can then sell or keep for yourself. The March retreat has ended, but is so not forgotten. What a great week learning from three awesome instructors. Igor Turovskiy was here for his second retreat and students walked away with some pretty amazing looking epoxy resin artwork. 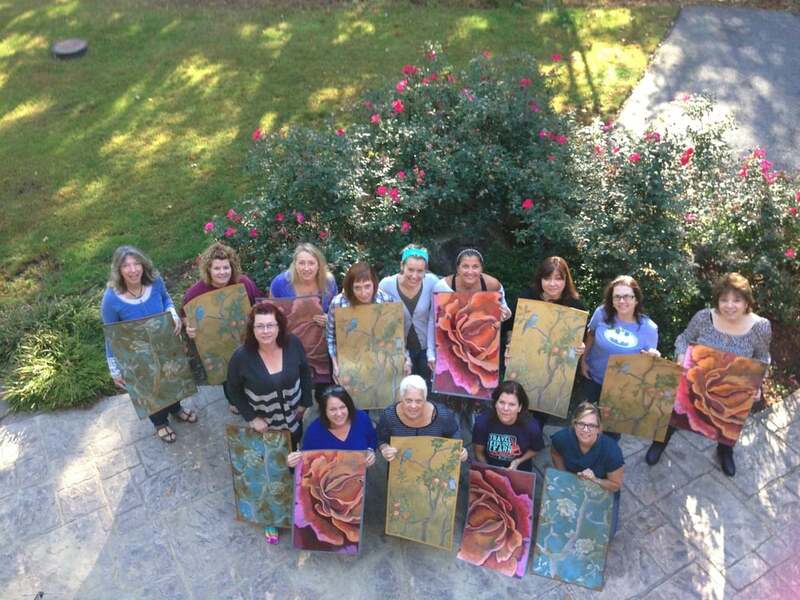 Leslie B. Nesbitt shook up the classroom with her creative enthusiasm and style and Cathy Taylor introduced us to a really cool medium that we can include in our portfolio. What do you do when one of your frequent attendees requests of his soon to be bride that he wants to go on a Faux Retreat for their honeymoon? You make it happen for them! So to celebrate the wedding of Mr. and Mrs. Jay Lewis we have a very special retreat created. 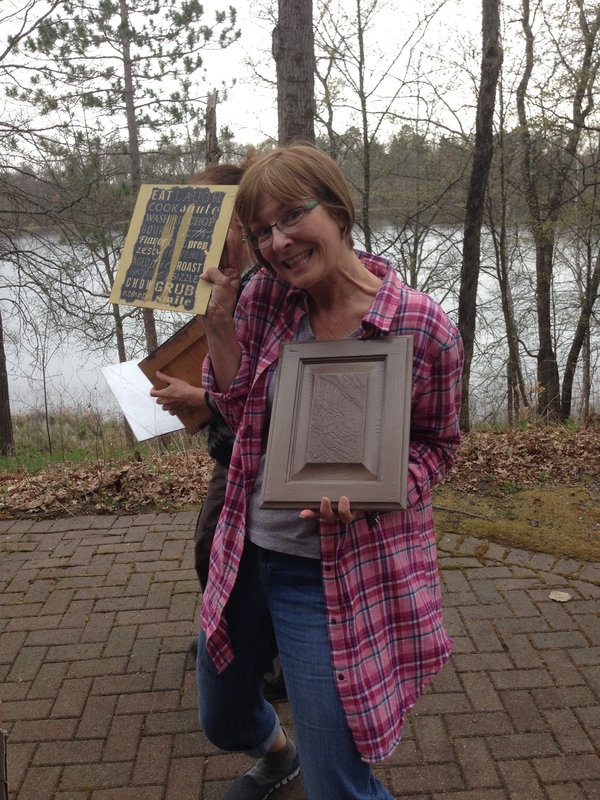 Audra has worked with all of the "big" brand concrete systems and will be bringing her knowledge and artistic flair to the retreat for some countertop and floor finishes and a gorgeous art piece. 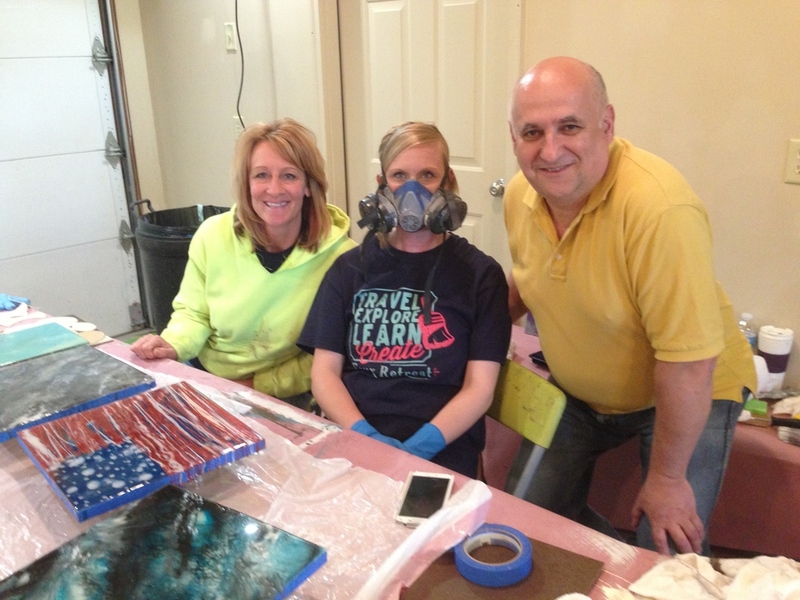 Audra will be using a type of overlay floor stencil which you will learn to make. You will learn about and then spray colors, use foils then an epoxy topcoat for a unique and very sellable floor finish. 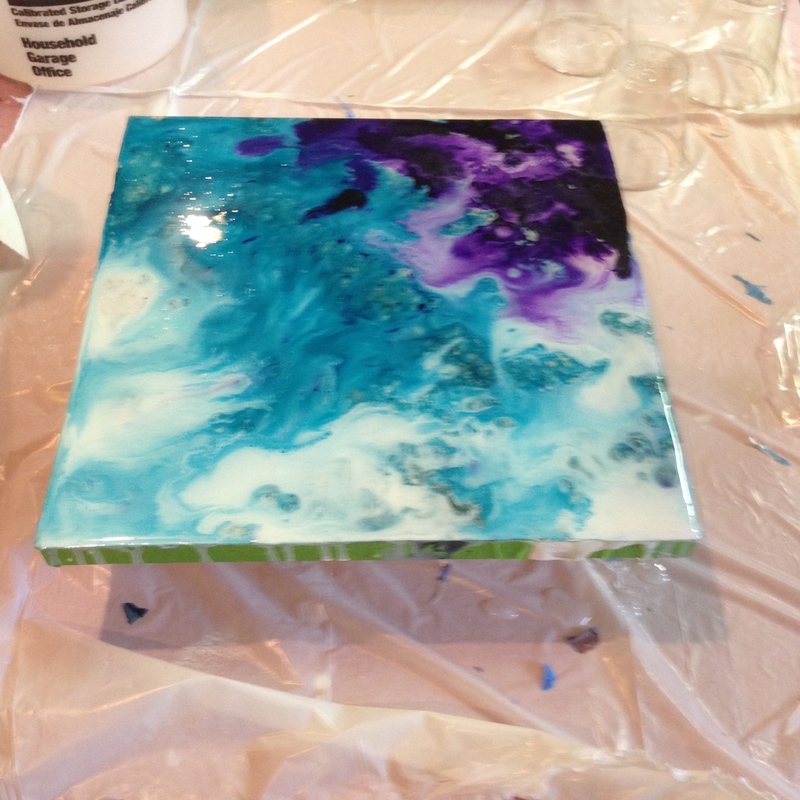 The countertop sample will be overlay with foam to create an intaglio type effect with an epoxy topcoat. You will also create an art piece building a bird of concrete that is mounted to a block which you will also be finishing. Kathy is teaching some frequently requested finishes for hers and she also has some surprises in store for everyone. Students will be working with a wide range of products. Instructors Sheri Zeman and Ali Kay. 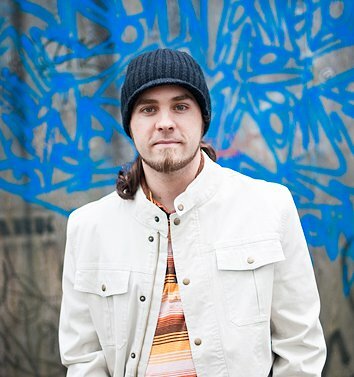 I am more of a quiet artist type. 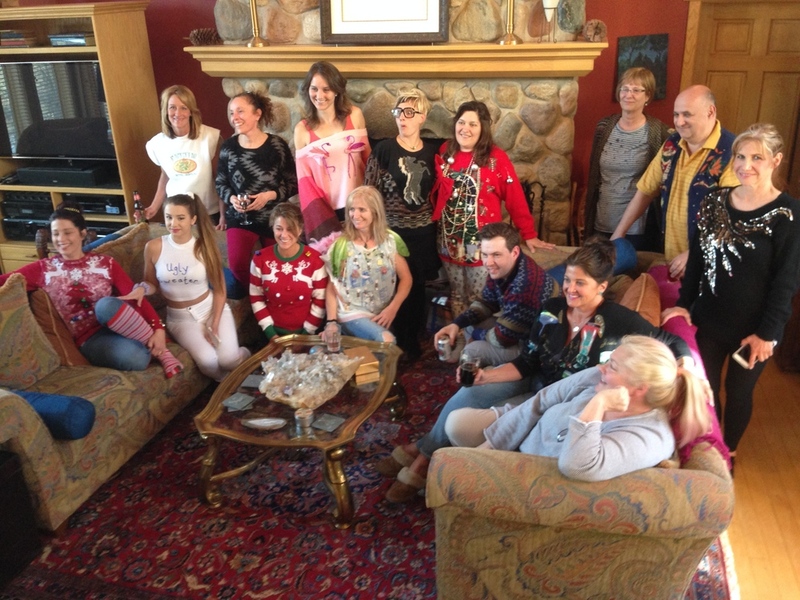 I like to socialize a little, but honestly, the whole retreat thing made me a little nervous. I did not want to be stuck for several days staying with people I didn’t know-eeek! I just wanted to learn new techniques, new finishes, and this retreat offered something I was looking for, for a long time!—A challenge to up my art, while developing more core finishes, to expand on in my studio, for wall and panel options. Not only was it an investment of money, but it was of my time in planning and travel, so I wanted it to be worth my while. This class, retreat went beyond my expectations and fears in so many levels. Thank YOU Kathy for going above and beyond in welcoming all of us with your generous heart and spirit. It was a comradery I have not experienced in a long time. 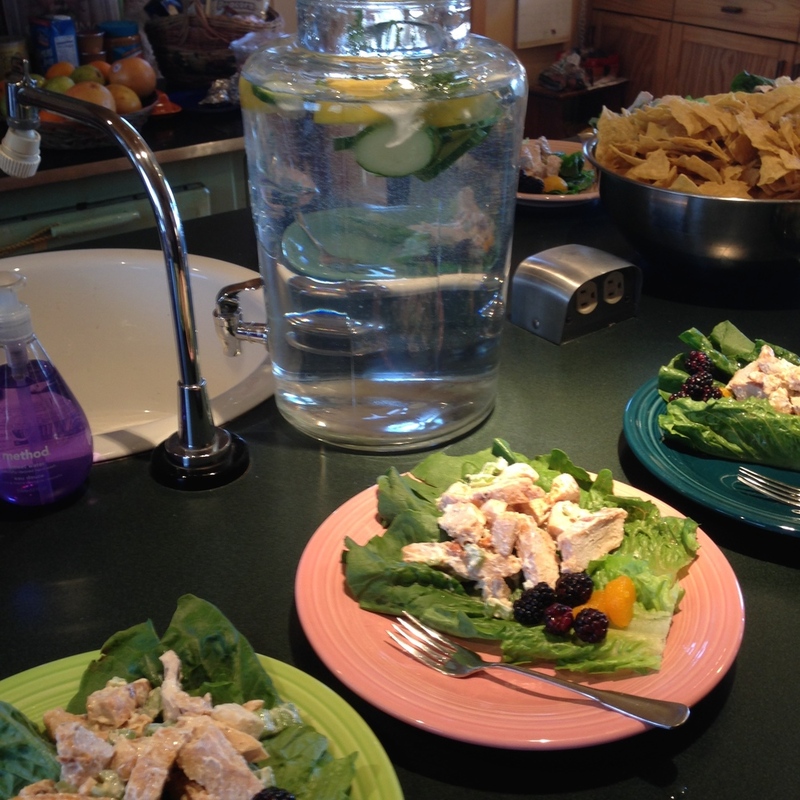 The classes and planning were well organized, the meals were sensational, the location was beautiful! This is one class I am planning on investing in, again. In fact I am saving up already for the next one! Instructors Annie Lemarie and Adrienne Wanamaker. Wow! Another fantastic retreat is over. Great group of people and instructors, lots of fun times and great classes. Here are some photos taken from the 6 days we were all together. We respect your privacy. We only send out 6 or less emails per year.